Blimps have a number of benefits over traditional media. First and foremost, they are large, eye-catching aerial billboards, capable of capturing a high volume of impressions in just one strategically-planned flight. These classic floating behemoths have been aweing consumers of all ages for over a century. Their sheer size and lighter-than-air design makes them a focal point in the sky above. Secondly, they are portable. This obvious benefit, allows advertisers to create brand awareness quickly and effectively in their target region or market. It also allows blimps to fly above the biggest sporting games and events of the year – guaranteeing thousands, and in many cases millions, of impressions. 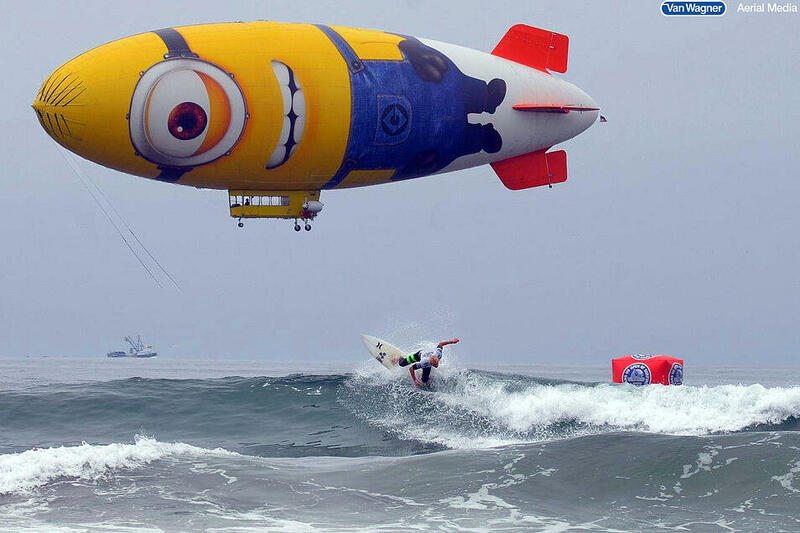 In recent years, savvy advertisers have used blimps like their own personal chess pieces. They move their airship(s) from market to market announcing their presence and cementing their brand as the industry leader in that particular area. Here are three examples of how advertisers have used an airship to skyrocket brand awareness in a specific market. OBJECTIVE: From 1996 to 1998, Whitman’s Chocolates launched an airship campaign in Australia. A popular brand in America, Whitman’s was a relatively unknown brand to the Australian marketplace. Reputable chocolate distributer Cadbury® was considered the market leader in Australia during this time, and Whitman’s airship campaign was devised to give Cadbury some major competition. EXECUTION: Eighty percent of Whitman’s budget went toward the airship program, and the rest was used to execute complementary in-store retail activations on the ground below. Their blimp also provided aerial broadcasting coverage to major sporting events, allowing them to reach consumers well outside the immediate area. RESULT: Within three years of the launch, Whitman’s Chocolates achieved a $25 million turnover and established themselves as the market leader in the area. Product sales expectations were exceeded by 240%. To Read The Other Two Case Studies For Aquafina & Bell Canada Download Our Free E-Book By Clicking The Button Below.